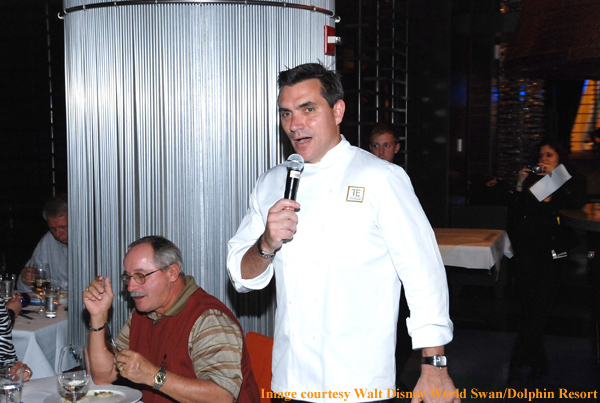 Celebrity Chef and Restaurateur, Todd English, hosted a “Culinary Adventures in Signature Dining” event as part of The 15th Annual Epcot International Food and Wine Festival. 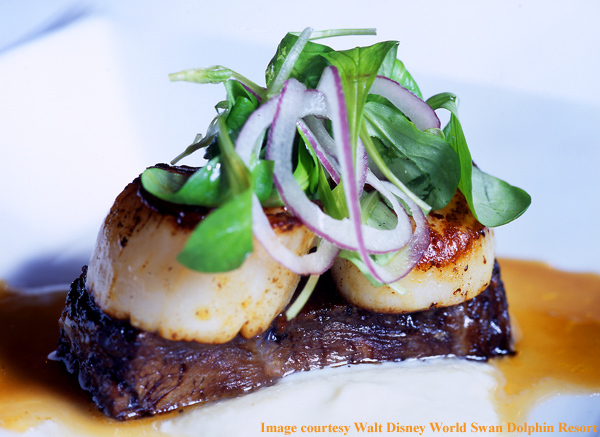 The 7-course dinner was held Saturday, November 6th in Todd English’s bluezoo at the Walt Disney World Dolphin hotel. Before the dinner, Todd English took time out to chat with me about the start of his career, the fascination with “celebrity chefs”, his culinary perspective and its influence on bluezoo, and his reaction to being selected as one of People Magazine’s 50 most beautiful people. 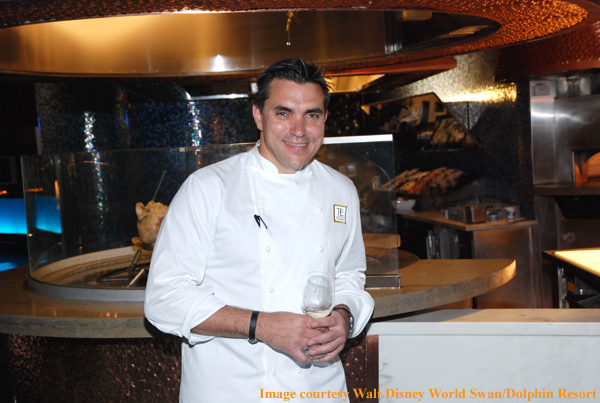 Continue after the break to read and listen to my interview with Chef Todd English. In addition to Todd English’s bluezoo, he has 18 restaurants spread out from Boston to New York, DC to Las Vegas, and the Queen Mary 2 luxury cruise liner – just to name a few. He has written numerous cookbooks, hosts a television series on PBS called “Food Trip with Todd English” (now in its third season), and was one of the original “Iron Chefs” on Food Network’s Iron Chef America. 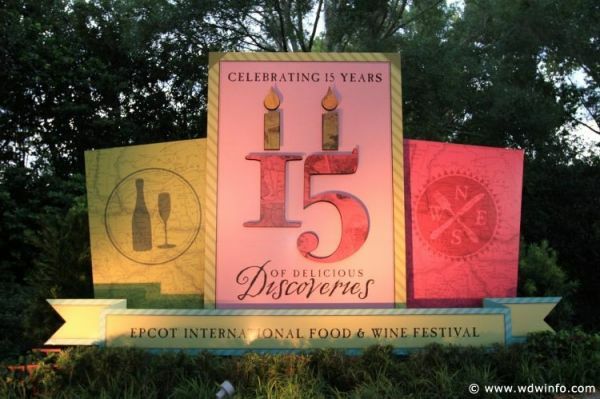 Todd English has been a staple at the Epcot International Food and Wine Festival, and has attended every event over the past 15 years. 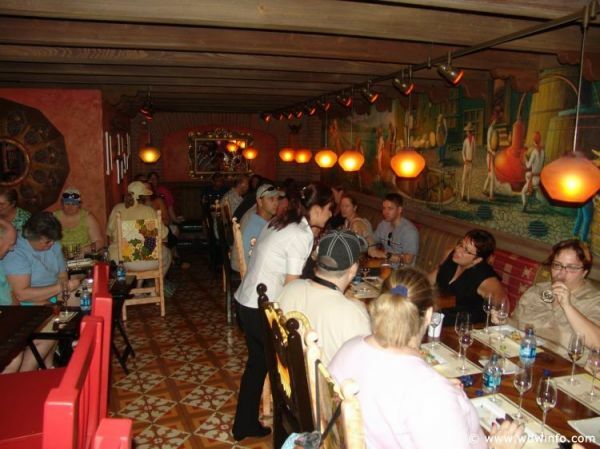 He described it as one of the original festivals that has caught on and become really popular, “People are so into food now and it’s such a cool thing to see the enthusiasm out there.” I asked if anything jumped out at him at this year’s festival, and he seemed to particularly enjoy stopping along the promenade in Mexico at the La Cava del Tequila to sample tacos and tequila. Todd English entered the culinary world at an early age, 15 years old. When he started, he did not consider cooking a viable career option. At that time, chefs were not promoted on cooking shows and Food Network as they are today. Chefs were considered more of a blue collar position. However, today our society has elevated chefs to a similar status level as doctors. When I asked Todd why we have such a fascination with celebrity chefs he replied, “So many love to eat and live to eat that it becomes part of us, part of our family, and part of our heritage.” He went on to explain how such a large portion of our time in life is spent eating and around the table, and implied it’s natural for our culture to be interested in learning more about chefs and cooking. Across English’s different restaurants, guests can encounter a wide range of culinary styles including: rustic Mediterranean, Italian, French, seafood, and “Ranch style” just to name a few. When Todd English described his cooking style he said traditions and classics are the most important influences. English wants to understand, and have his guests understand, why foods and dishes evolve a certain way. Why are tortillas made in Mexico the way they’re made? Why do pastas, herbs, and spices travel the world, and why do they reach certain places? Tradition and authenticity are important to English’s cooking. He then takes those classic flavors, adds his creativity and gives them a new twist. He has traveled all over the world, but says he enjoys cooking at home in America because you have the tradition but are not bound by that tradition – you can change it, mix it up, and give a new fresh look. 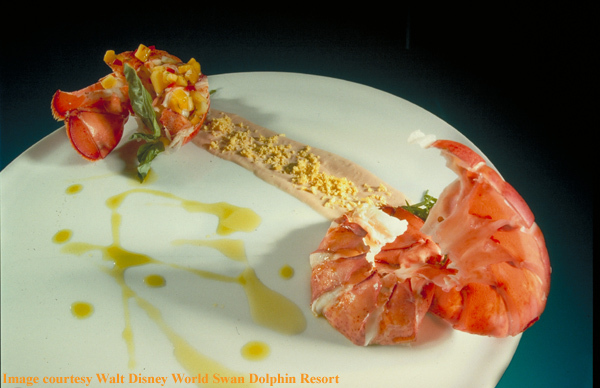 You can see Todd English playing with these traditions in his restaurant at the Walt Disney World Dolphin. Todd English’s bluezoo is a seafood restaurant, and Chef English said there is a unique style for how seafood should be cooked. At bluezoo, he wants to create seafood dishes using the traditional cooking style but unique in their presentation and global in their aspiration and inspiration. The look of the restaurant is cutting-edge and modern; Todd English worked closely with acclaimed architect Jeffrey Beers to create a space that fit beside the modern landscape of Epcot’s Future World. 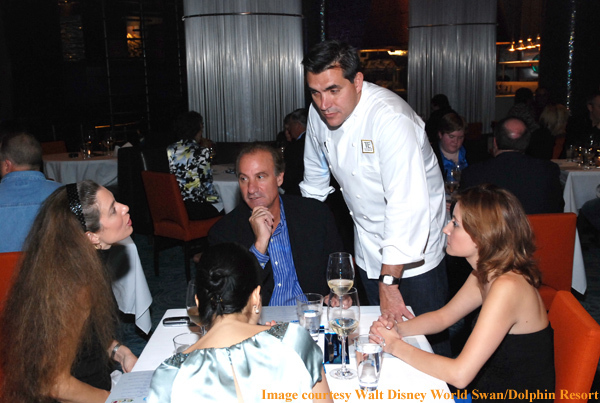 Establishing a restaurant at Walt Disney World appealed to Todd English because Disney is universal and international just like food itself. During our conversation, Todd English did not share many secrets regarding his “Culinary Adventure in Signature Dining” except to say it would be a fun 7-course dinner filled with interesting flavors, great wines, and great drinks as well. Todd English continues to be busy; he’s currently working on a new book called “Speaking English” that will give details on why he cooks the dishes he creates today. It will be filled with stories and anecdotes of things he’s done throughout his career. He’s also currently filming his third season of “Food Trip”, his traveling cooking show that airs on PBS. Everything’s Better with Bacon – Including… Your Cocktail?